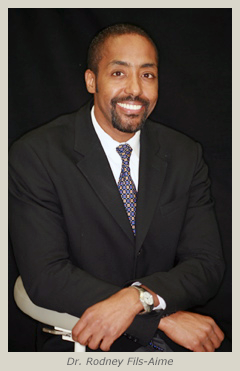 Congratulations on your search for the best available comprehensive dentistry. I applaud your research on the topic and the quality of your care providers. My personal commitment to cosmetic dentistry is built on a strong foundation in all aspects of general dentistry. Paying attention to detail and the fundamentals like proper occlusion and smile-design enable our practice to consistently provide excellent results. I believe in a team approach to comprehensive dentistry and work closely with my colleagues who specialize in all phases of dental treatment. Only a handful of cosmetic dentists in New York are accredited by the Academy of Cosmetic Dentistry (AACD). It is crucial that a cosmetic dentist be fully accredited or an active member of the Academy, undergoing the long and arduous process of accreditation in order to perform cosmetic procedures. Many factors come into play in understanding proper “smile design”, including facial proportions, profile and lip contours to name just a few. With careful planning, a cosmetic dentist can develop a full, balanced and harmonious smile that enhances a patient’s facial features. In your search for a cosmetic dentist, make sure you ask questions and view actual cases completed by the dentist. This interviewing process is essential for both you and the dentist to understand your goals and to establish an adequate plan and rapport. Although this process does not always end in collaboration, it is highly beneficial for both parties.